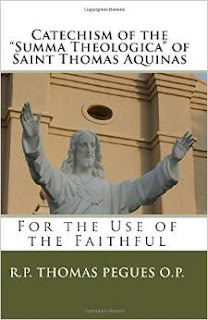 With full references to both the full "Summa Theologica" and to the Code of Canon Law, the "Catechism" of St. Thomas' great works was seen as so important that Pope Benedict XV himself wrote the introduction to get as many Catholics as possible to own this book. Traditional Catholics will find the volume particularly useful on such controversies as "for many" versus "for all," the validity of sacraments, and the rampant use of annulments. Written in a Question & Answer format, parents, catechists and priests will find this classic a welcome addition to their library.